“Our colleague Anatoly Klyan died tonight...he was fatally wounded in the stomach. He was 68-years-old,”Channel One said on air. “We have been able to speak with these journalists and they called their colleagues in Donetsk and this information is now confirmed,”Finoshina said. Another team of Russian journalists also came under attack on Sunday. 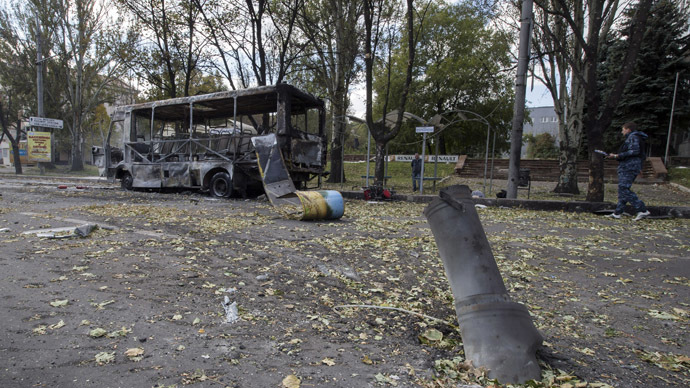 A LifeNews crew was fired at near a Donetsk military base, Kulbatskaya said. Their car was fired at from a grenade launcher. No one was injured in the attack. The ceasefire between Kiev and self-defense forces in eastern Ukraine expires at 22:00 (19:00 GMT)on Monday. This latest death comes after a number of journalists were already killed during the coverage of events in eastern Ukraine. Earlier in June, Rossiya TV journalist Igor Kornelyuk and his colleague, sound engineer Anton Voloshin, were killed in shelling. They were the first Russian journalists to die while on professional duty in Ukraine, since the coup in Kiev and the beginning of civil unrest in eastern regions began. 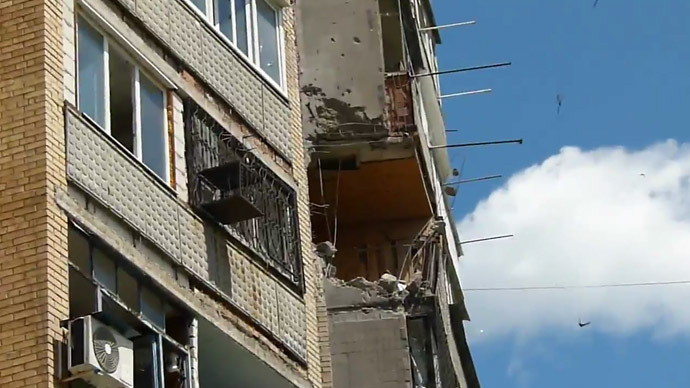 They were working on a report covering Ukrainian refugees fleeing the town of Metallist in Lugansk region when they were hit with mortar shells. There have also been numerous cases where journalists have been attacked, shot at, and detained while reporting on the crisis in eastern Ukraine. 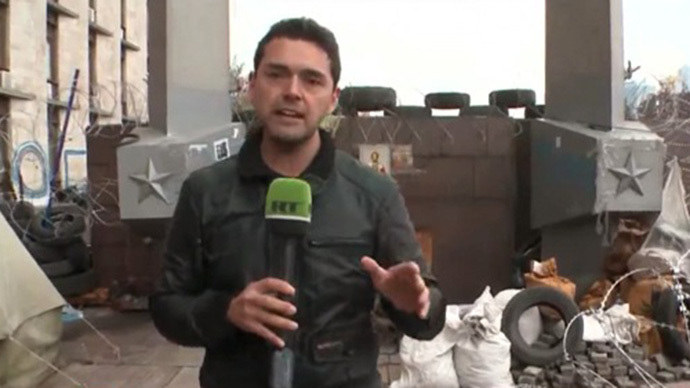 For example, on June 16 a group of journalists came under fire while reporting from Slavyansk’s outskirts. One of the journalists was Ruptly correspondent Andrey Krasnoshchyokov. 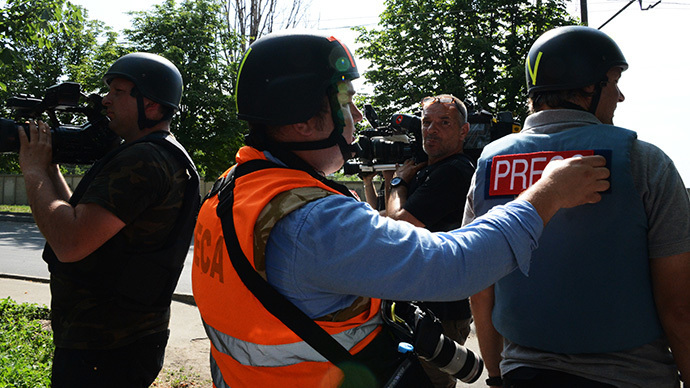 On June 14, Zvezda TV channel said two of its journalists had been detained. A Channel One crew was also fired at on June 11 while covering events in the village of Semenovka, located near Slavyansk. In another incident, RT contributor and UK national Graham Phillips was detained by Kiev military forces at a checkpoint in the city of Mariupol on May 20. He was transferred to army barracks and interrogated by Ukrainian security forces. He was released after 36 hours. Fedor Zavaleykov, a 23-year-old Ruptly cameraman, was wounded during fighting in Mariupol on May 9.